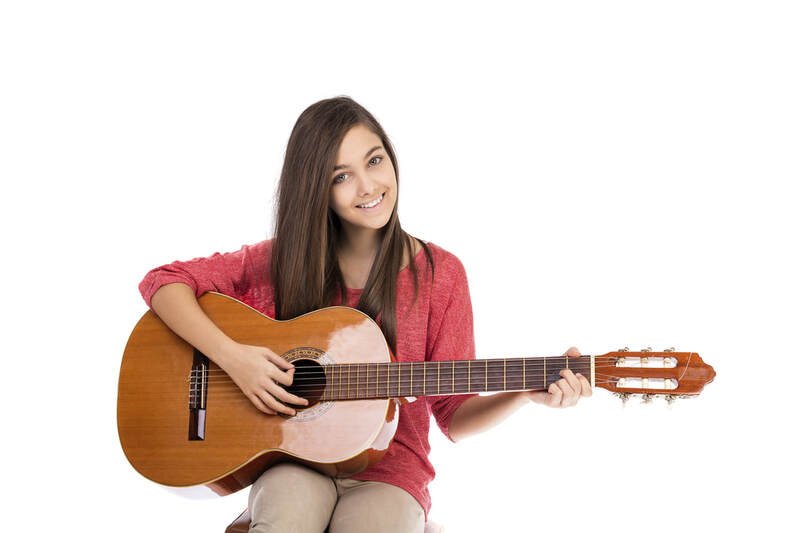 ​Offering fun, quality, personalized guitar lessons to students of all ages and levels! The Providence Guitar Academy is dedicated to helping you reach your goals! While you are here researching the best music school for you, please consider the benefits of becoming an Academy student and find out why we are Providence, Rhode Island’s number one choice for guitar lessons. 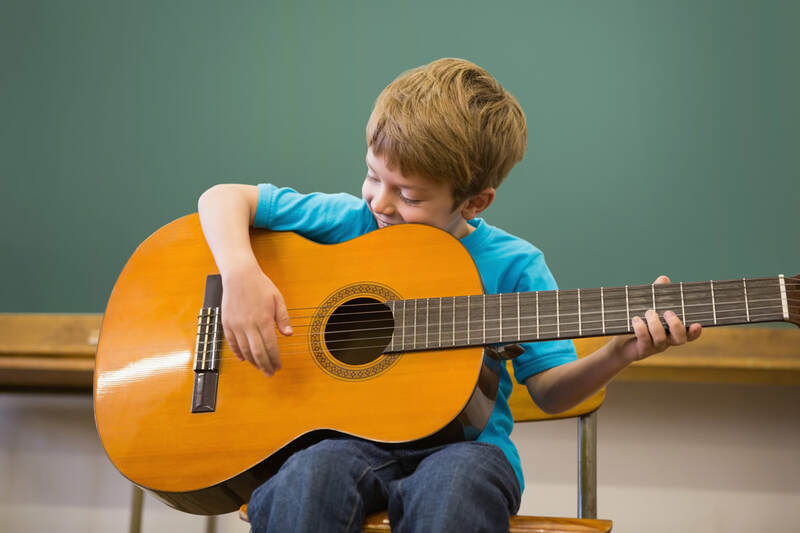 Every new student has unique goals and aspirations when starting guitar lessons. Our goal is to help students achieve what they are most excited about. Music is our passion, and we love sharing it with you. No two lessons are the same, because each one is centered around you! Lessons are designed around the goals of each individual student, so your goals become our goals! 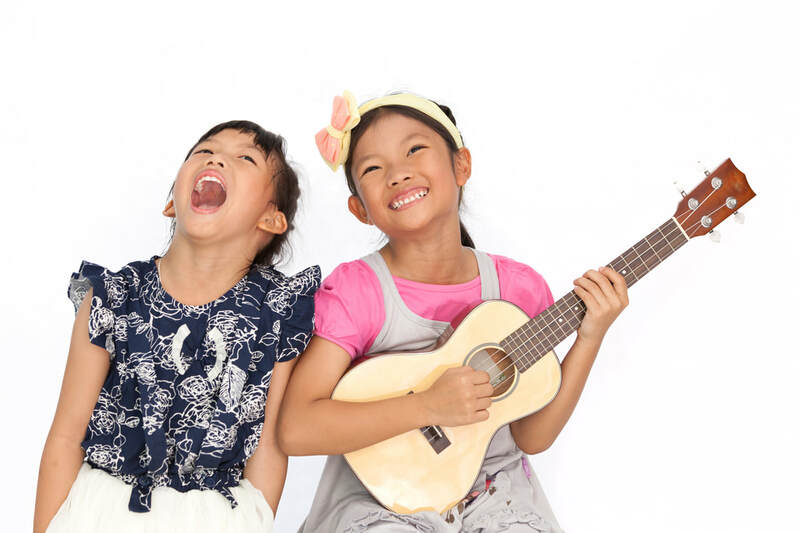 We teach a variety of musical styles, from rock to jazz, classical to pop music. It is essential that you enjoy the process of learning a musical instrument, and this is achieved by focusing on the music you like. Our instructors have many years of extensive teaching and performance experience, with bachelor and masters degrees in music. We are dedicated to learning about your personal musical goals and helping you to achieve them. In addition to our teaching credentials, our students find that we have warm and friendly personalities. We are dedicated and passionate about teaching you the style of music that you want to learn in your guitar lesson. You can park in our spacious lot and walk to Wayland Square during your child's lesson, or take a quick drive to get some shopping done. Providence Guitar Academy is centrally located on the East Side of Providence. Located between the shopping centers of Wayland Square, Thayer Street, and Wickenden Street, and only minutes away from Whole Foods. 6. We also teach bass and ukulele! We also specialize in teaching electric bass and ukulele lessons. We teach all ages and levels! Whether you're learning your first ukulele chord, or maybe you're already playing jazz ukulele. Maybe you're a total beginner bass student, or an advanced bass player looking to build on what you already know. Either way, we can help you learn the music you want to play on bass and ukulele! 7. Walking distance from RISD and Brown University. We integrate music theory, sight reading, ear training, practice habits and improvisation into our guitar lessons. This will enhance your enjoyment and appreciation of the music while building a strong foundation for musical excellence. 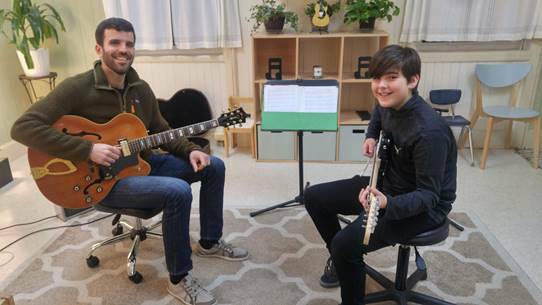 Many of the students that come to us after taking guitar lessons at other music schools note that they learn much more, much faster at Providence Guitar Academy. 9. We teach all levels from beginner, intermediate to advanced - from children to adults. If you are a complete beginner and have never taken a guitar lesson in your life, you've come to the right place! We have also helped many experienced players achieve higher levels. We are equally comfortable teaching a new beginner their very first song as preparing a Berklee College of Music applicant for auditions. We incorporate the newest advances in technology into our guitar lessons - such as the use of an iPad, with apps such as the Amazing SlowDowner, which slow down songs to make them easier for the student to learn and play along with at first. We also use the iRealPro app so students can play along with their favorite songs at any tempo and in any key! The Ultimate Guitar app, YouTube, and various guitar method apps make your guitar lessons interactive and fun! The Providence Guitar Academy does not require semester minimums for guitar lessons. Every student here is on a month-to-month basis. Every parent wants to know how their child is doing and if they are really progressing on the guitar. The best way for a parent to understand if their investment in guitar lessons is really worth it, is to have their child participate in a recital. For our students these recitals are free and unlike many schools in Rhode Island, we do not charge recital participation or admission fees. Many of our guitar students have gone on to become gifted and successful performers in rock, pop, and jazz bands around New England. Our students have won numerous competitions in classical guitar performance and have performed in Carnegie Hall. Our former students have also been admitted to Berklee, New England Conservatory, and various other music schools and conservatories around the United States. Visit our ﻿testimonial page﻿ to see what our students are saying. 14. A wide range of guitar lesson times available six days a week! We offer guitar lessons six days a week from early afternoon to late at night to accommodate your busy schedule. ​If you are ready to start, you have nothing to lose as we only want students who truly want to be here and we will not commit you to a long term contract. 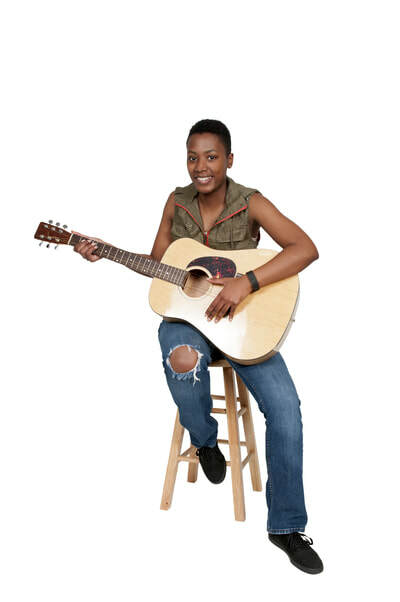 ​Offering fun, quality guitar lessons to students of all ages and levels! ​Serving Providence, East Providence, Pawtucket, Cranston, Cumberland, Lincoln, Attleboro, and North Attleboro. Lessons are available six days a week, and scheduled once a week. ​A one-time registration fee is $25 (due only at time of registration). 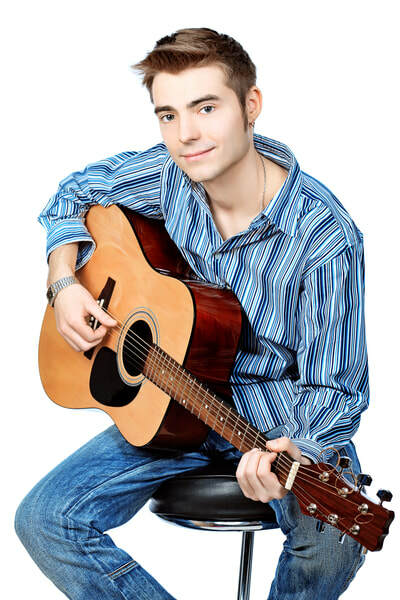 ​Learn the songs you want to learn with the best music lessons in Providence! ​Learn the songs you want to learn!